Most people have an everyday vehicle that gets them to and from their various activities. A secondary vehicle is needed for many people. Classic car and RV owners understand this. Specialty vehicles that are not used on a day-to-day basis are certainly no less important or valuable. In fact, they require a bit of extra care because they are an investment that brings a lot of joy and pride. Self-storage of a vehicle in the residential area does not always work due to the challenges this type of situation presents. RV and classic car owners in Southern California find what they need at an affordable price with car storage in our Redlands facility. The garage or driveway is not a good place for storage of a classic car or recreational vehicle. Both in the driveway and in the average garage, the specialty vehicle is susceptible to damage, either from the elements, vandalism, or a fallen box. Indoor storage in our converted warehouse makes sense due to the controlled climate that protects vehicles from the sun, rain, wind, and from pests. In the driveway, even under a tarp, this is not possible. In addition to having no boxes, sporting equipment, or other belongings, our facility outdoes the garage in the way of 24/7 surveillance with dozens of cameras. Storing a vehicle away from home brings peace of mind. The investment into any type of recreational vehicle is best protected with proper storage, especially if the vehicle is used infrequently. Vines Storage offers short-term and long-term leasing options as well as month-to-month leasing that supports the range of our customers' needs. Our large property provides a number of storage options that may suit a variety of vehicles. We are happy to share with you the details of our leasing packages and our facility. 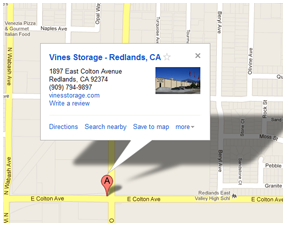 Call Vines Storage to learn more.